Tonight we met with our Simplicity Experimental Collective to share our decisions on what excesses we will be eliminating from our lives over the next 4 weeks. Some are cutting back on excess stuff. Some are cutting back on stress by getting more sleep or carving out more open time during the day. Some are pointing their aim at food. It was clear that a lot of thought went into everyone’s decision making process over the last week. I am enjoying this chance to get to know friends on new levels and to begin to get to know new friends through this experience. I’ve said it before and I’ll say it again, Experimental Collectives are the way to go for me. This format reaches me in a way that church small groups never have. Our homework between now and next Tuesday is to work up written plans on how we will execute our experiments For some it will be a simple (not easy, just simple) plan: don’t go on Facebook or drink coffee. For others it will require a lot of research and planning ahead; choosing how to radically pair down foods in a healthy and impactful way and planning menus in advance. For Daniel and me it means deciding how we want to go about getting rid of our extra stuff. Will we go by genre of stuff? One room each week? Number of items per day? Will we sell things on Craigslist? Donate to thrift stores? Hold items back to possibly use in a Vintage Fellowship sale or thrift store booth to raise money for a cause? What measures will we use to decide if we are being successful along the way? I do know that we are both extremely motivated to make this move. We will have some hard decisions to make in the next several weeks and I wouldn’t be surprised if some tears were shed. This is a tiny house and the two of use have accumulated a lot of stuff over the years living on our own. I’m sure we will probably be learning a lot about which attachments to objects are healthy and which need to be broken. It’s a lofty goal and Daniel doesn’t think it’s possible, but I want to get this house feeling empty before we start adding lots of baby furniture and items. That may not happen in the next six weeks. It may take a few rounds of purging before we get there, but I’m determined. It might mean some sacrifices, some of them painful, but I think it will be worth it in the long run. Tonight we welcomed some old and some new friends from Vintage Fellowship into our home to begin our Simplicity Experimental Collective. We will be focusing on getting rid of excess for the next 6 weeks. Our inspiration for this topic was the book “7: An experimental mutiny against excess” by Jen Hatmaker. Jen took 7 areas and focused on them each for a month at a time over 7 months. As we will only be focusing on action for 4 weeks we will each pick one area to concentrate on. We aren’t confining ourselves to her topics, but many of us will likely choose from the following areas: clothes, shopping, wast, stress, media, possessions or food. One goal of our experiment will be to find what resources we gain by eliminating the excess in one area of our life. Then we will hopefully find a way to use that resource to help others or ourselves. I really am not sure which area will end up with my focus. Definitely not food. There is no way I’m putting unnecessary dietary restrictions on myself at this point. Clothes is a good one in that I could definitely pare down to 7 items of clothing for 4 weeks. Especially as I continue to grow out of my current clothing. I might do this one anyway but it won’t really challenge me to limit my wardrobe. I’m not much of a clothes horse and you won’t find a bunch of items of clothing in my closet with the tags still on. Shoot, most of them didn’t have tags when I bought them because I got them at Goodwill or a resale shop. I’m no fashionista, that’s for sure. Waste is one area I want to do better with, but we discussed not doing our experiments out of guilt and that’s definitely why I would be going hard-core on the recycling. I’m leaning toward media at the moment because it does seem to take up so much of my time. We watch something on Hulu or Netflix almost every day after work and it really eats up the evenings. We have our dinner in front of tv shows instead of facing one-another and having conversations. Even if I don’t have the energy after work to clean or organize or work on projects, it would probably be good for me to relax and read and get to bed early instead of staying up late to watch tv and then write a blog post and getting to bed much later than I planned. Our homework for the week is to skim Jen’s book “7” and maybe do a little journaling to identify the area that we would like to concentrate on. So I have some pondering to do this week. I am excited to see what this Collective will bring and so thrilled to be concentrating on Simplicity as we enter into this Holiday season that definitely the opposite of simple in our American culture today. It’s going to be a challenging and wonderful 6 weeks! 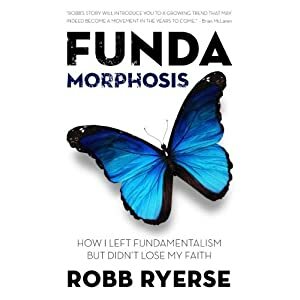 You can hear Robb talking about his journey out of fundamentalism and the book he wrote by downloading This Podcast of his radio interview on The Ragamuffin Show. This journey that Robb took has shaped my life so greatly. My world would be completely unrecognizable if he hadn’t taken this journey that led him to a new kind of faith. Which led him to Fayetteville and the to creation of Vintage Fellowship. If his journey had ended differently or had never begun, my faith would take a different shape than it does today. My friends would be different people. Most definitely not as talented and inspiring as the ones I have now. I might not even still live in Fayetteville. I wouldn’t be married to my perfect match and best friend because we met and got to know each other through Vintage. Someone else would have our Sweetie Wheatie, and her name probably wouldn’t be Luna Lovegood. How depressing would my life be without these two? Even though Robb didn’t know it at the time and neither did I, the transformation that was going on in Robb’s world and in his heart are the reason I am who and where I am today. Basically, it’s my pastor’s fault I’m pregnant right now. I bet that brings in some interesting hits from Google. That’s weird. The elections are over and the world still exists. I don’t know if you’ve heard, but I’m currently incubating a small human. It came along today when its Daddy and I voted. I really wanted to be cheesy and put my “I voted” sticker on my belly but our polling location never gives stickers. Bummer of the day. Later in the evening we went to Vintage for election night communion. How beautiful it was to sing together about turning our focus to Jesus when there are so many things pulling us in other directions lately. It’s so easy to get sucked into the political bickering. It’s kind of fun and we want to be right, don’t we? Tonight I came together with my church family to rest in the knowledge that, no matter how the elections ended up, I believe that God is sovereign and where our focus needs to be. Jesus didn’t call us to convince everyone we know to vote the way we want them to. He called us to LOVE. We gathered together tonight as a group that represented pretty much every bubble on the Arkansas ballots. There was no tension or arguments. Just the joy of being together. A feeling of love and trust that our votes do not separate us in any real ways. And the knowledge that no election results will change any of that. Back to the tiny human-shaped critter currently giving me killer heartburn. I have no memories of a time without MTV. It may be lame now, but it does still exist. This little one will come into a world with an African American as the elected leader of the USA. He or she will probably never know a world where it’s a big deal. Maybe our kid will grow up and just not be able to stand Barack Obama and think “I hate that my least favorite President was in office when I was born!” But, while I hope we will have instilled in them an understanding of the importance of the step forward, they won’t have any memories of Americans electing a non-white President being any big dang deal. I didn’t get that, though I wanted it so badly growing up. I seriously felt like a 60’s era civil rights activist in a little 7 year old body. I was an odd kid. I know that I can’t truly understand the experience of growing up a person of color in this country. I’m a white woman who grew up in a home with both parents and, no matter how tough times got, I never had to worry about a roof over my head or dinner on the table. Maybe my parents worried about it at some point, but I never did. I was and am a child of privilege. I married a white man. We have good educations and good jobs and a roof over our heads. I have had great prenatal care from before this baby was even sparked into existence. It was a child of privilege the moment it began to grow. Still, I am so happy that it will have a privilege that I didn’t have. The privilege of always living in a world where a black man got elected to the presidency of the United States. Twice. No matter what his politics are, that is such a joy to me. I got into a lot of fights as a kids about race. I’m not sure how much of it was my personality and how much of it was something my parents did early on, but I was never shy about standing up for issues I felt strongly about. It might have stemmed from me finally figuring out the whole “color” thing. See, I had two bi-racial cousins when I was a little kid. I knew their white mom (also my cousin) but she remarried a white man before I was old enough to remember anything else. So, in my infinite 4 year-old wisdom, I put two and two together and decided I knew how it all worked. Let me explain genetics to you through a Pre-Ker’s eyes. Before you have any kids you don’t know what race they will be. Then you have your first one and you find out. My cousin had her first baby and she was black. So obviously the second one was too. Thus, when we went to visit her to see her new baby with her new husband I was very confused and, frankly, pissed off that her baby was…white. What the crap? What business did that baby have being white? Once my mom explained the situation I was pretty ticked because I had been really looking forward to finding out what kind of babies I was going to have. Also, now that meant I was probably NOT related to Ozzie Smith, after all. I think that just made me extra sensitive to the whole issue of race at an early age. So I noticed a lot more than most other kids around me when the grown-ups talked about it or it was the subject of a tv show or movie. In Kindergarten we had one of those worksheets where they tell you what color to use on each area. Like a paint by numbers only with crayons. The worksheet was a picture of a Native American (only we still called them Indians back in the early 80’s and sat “Indian Style” instead of “Criss-Cross Applesauce.”) My teacher instructed me to color my “Indian” Red. I don’t remember if I hesitated. I just remember refusing to do it. I told her “Indians aren’t red. They are kind of brown” It wasn’t a political statement. I just thought it was stupid. Why would she be trying to force me to color a person a color that didn’t actually match them? I never did color my picture red. Usually I would have gotten in trouble for talking back to a teacher but I think my parents were actually pretty proud. It never occurred to me after that to adapt to fit the norms around me when it came to something I felt was right or wrong. A lot of self-confidence came out of that one moment of not getting in trouble for sassing. When we moved from Kentucky to Missouri I was 10 and in for a big shock. I had only heard the “N” word a few times before that. I started hearing it a lot more. I heard it within the first few weeks when my mom put my ponytail in a bunch of tiny braids and sent me to school. I could wear that hair-do for a week and then I’d have wonderful crimps when it came down. Hey, it was cool at the time. That first day a boy came up to me and asked me if I was a “Some kind of N—– lover or something?” I was so very shocked. I never ever come up with good comebacks so I’m pretty proud of my 10 year-old response of “I love all people. Except for jerks like you.” Smooth, tiny blond girl. Smooth. I did adjust to my surroundings there. I stopped calling everything “Coke” after a while and switched to “soda pop.” I stopped using “ma’am” and “sir” when speaking to adults because my entire 5th grade class laughed at me my first day when I said “Yes ma’am” to our teacher. But that particular trait, the horrible bigoted racist one, never rubbed off on me. Again, I just want to reiterate that I don’t think my experiences are anything in comparison to kids who dealt with racism directed at them. Mine was 3rd party indignation. I could step outside of the sadness and hurt I felt. When I had a teacher in 6th grade who continually made racist remarks about property values and black neighbors and Michael Jackson being glad he was “turning white” I was angry but it did not affect my self esteem in the ways that I’m sure it could/would have an African American kid. I’m not comparing my experiences with those kids. But my experiences will be comparable to the little human I’m cooking right now. And I want so much more for her/him than we had. The election four years ago and the one tonight made sure there is at least one thing that will be different for this new generation. I am so glad for that. PS–I’m not forgetting the awesome results tonight where women were elected to various offices for the first time EVER. It’s just really past my bedtime and I’ve already rambled enough for one post. Maybe I’ll revisit it later. Author TheVirtuePosted on November 7, 2012 July 14, 2018 Categories UncategorizedTags Baby, Politics, Pregnancy, Vintage Fellowship1 Comment on That’s weird. The elections are over and the world still exists. It’s not about how you vote. It’s about how you love. We have been focusing on on the election for the past few weeks at Vintage Fellowship. “What?” you ask, “Isn’t that against the law?” No, we are not in danger of losing our tax-exempt status by endorsing candidates from the pulpit. We don’t even have an actual pulpit. If we all believed the same things politically, then what kind of true representation of the Body of Christ would that be? NOT a true one is my opinion. Also boring. 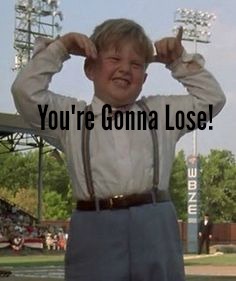 We have people voting all over the place at Vintage and, you know what? I have not been tempted even for half a second to delete any of them from Facebook in the past 6 months. Not even Matthew who keeps sending me links to really, really scary horror movie trailers and telling me “They’re coming to get you, Barbara.” But that’s neither here nor there. Because it’s not about how you vote. It’s about how you love. We have made 3 pledges in the past 3 weeks as a Church. HEART: I will care more about what people think of Jesus than my candidate or party. I will focus on what is right, admirable, and praise-worthy in the candidates. LIPS: I will speak with grace and kindness about every candidate. I will refuse to engage in rumor, sarcasm, name-calling, or lies. HANDS: I will do what I can to show love in tangible ways that no politician or party can. Because each person you see on your ballot tomorrow (or you saw already when you voted early) and each celebrity personality talking about it on their show is a child of God. Each person who will be voting exactly opposite your choices is a child of God. Stop and think about that and ask yourself if your behavior reflects that knowledge. Have you made sarcastic comments about them? Have you said derogatory things before checking to see if they were true first? Have you made sweeping statements about a group of people based on who they will be voting for? Have you shared a post or a status because you found it witty and funny (especially at the expense of others) without thinking about whether or not it furthered honest and open communication? Can you put the ugly aside for a few days? Or maybe even decide to drop it altogether from now on? Author TheVirtuePosted on November 5, 2012 July 14, 2018 Categories UncategorizedTags Politics, Vintage Fellowship2 Comments on It’s not about how you vote. It’s about how you love.